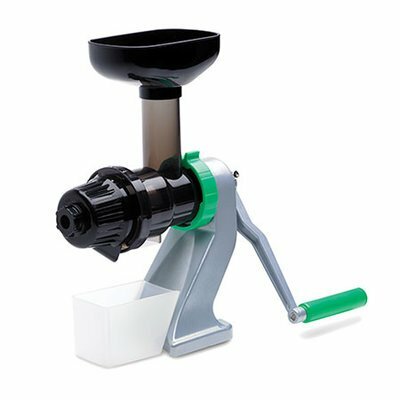 80 RPM compact vertical single auger juicer, 10-year warranty, large feeder opening, self-cleaning screen, juices wheatgrass, greens, soft and hard produce well. 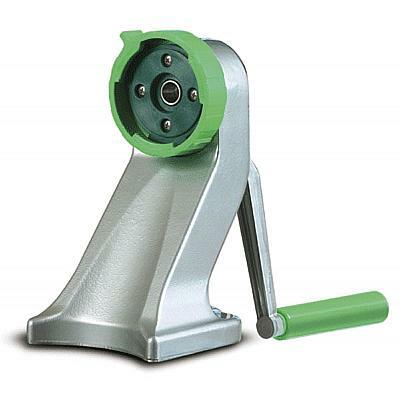 More torque than the Omega vertical auger juicers with a mincing attachment for more versatility. 47 RPM, 10-year warranty. 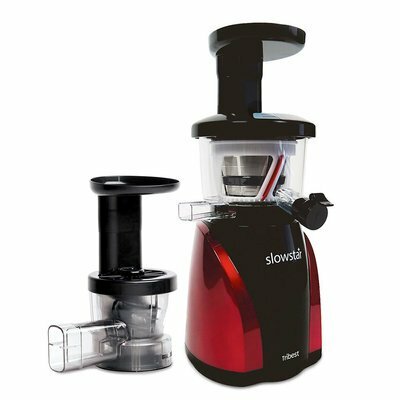 Same juicer as the Slowstar SW-2000-B, except color. 47 RPM, 10-year warranty. 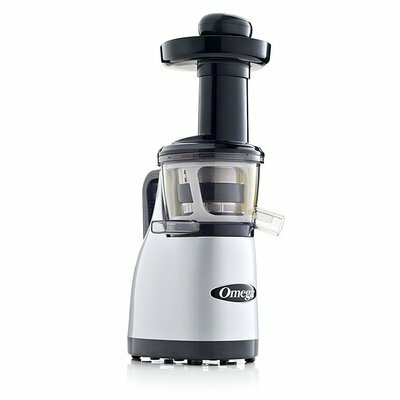 Convenient and affordable way to turn your electric Tribest SoloStar, Omega single auger (8000, NC, and CNC series), or Samson GB-9000 series juicer into a manual juicer. 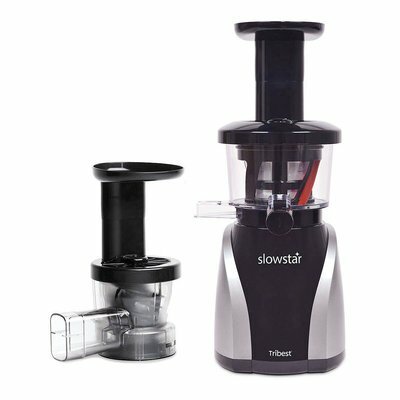 The Z-Star Juicer is a handy robust mobile juicer that can be used while traveling or during power outages.